The Palestinian leadership on Tuesday blamed Israel for the death of a long-term prisoner with cancer, further hiking tensions over what is already a tinderbox issue. The death of Maisara Abu Hamdiyeh, a 63-year-old from Hebron who suffered from throat cancer, sparked outrage over Israel’s failure to release him early on compassionate grounds. “The death of Maisara Abu Hamdiyeh shows the Israeli government’s arrogance and intransigence over the prisoners,” said Palestinian president Mahmud Abbas. 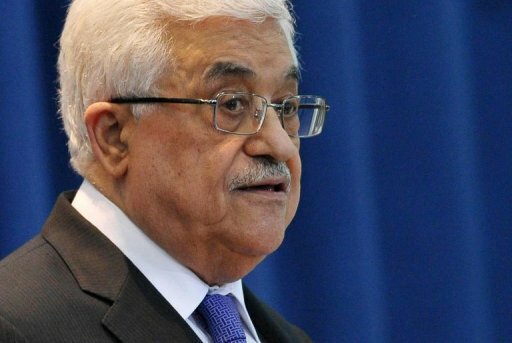 Abbas spokesman Nabil Abu Rudeina blamed Israeli Prime Minister Benjamin Netanyahu’s administration, while Palestinian premier Salam Fayyad called for an international commission of inquiry. The Israel Prisons Service said Abu Hamdiyeh had been diagnosed in February, and was being treated by experts, while the process of his release had started. “About a week ago, after being diagnosed as terminal, the IPS appealed to the release committee to secure his early release, a process which had been started but not yet concluded,” said a statement. It said he was serving a life sentence for his involvement as a recruiter and dispatcher in an attempted attack at Cafe Cafit in Jerusalem in 2002. Abu Hamdiyeh, who had served more than a decade of his sentence, died at Soroka hospital in the southern Israeli city of Beersheva, sources on both sides said. The issue of Palestinians in Israeli prisons is a deeply sensitive one and it frequently sparks mass demonstrations across the occupied territories, which tend to develop into violent clashes with the military. One of the main points of concern is prisoners on long-term hunger strike who are held without charge, or the conditions of their arrest. Abu Hamdiyeh’s death sparked protests in prisons across Israel as well as clashes with the Israeli army in Hebron. The IPS confirmed he had died of cancer on Tuesday morning, saying disturbances had broken out in four prisons as the news spread — in Ketziot, Eshel, Ramon and Nafha. IPS spokeswoman Sivan Weizman told AFP order was later restored although about 300 inmates refused their lunches in protest. In Hebron, about 300 demonstrators threw stones at troops near the entrance to the Old City, with soldiers firing tear gas and rubber bullets. And in Jerusalem’s Old City, police arrested nine people at Damascus Gate after about 50 Palestinians hurled stones and bottles at officers, police spokesman Micky Rosenfeld said, adding police fired stun grenades to disperse the rally. Qadura Fares, head of the Ramallah-based Prisoners Club, was the first to break news of Abu Hamdiyeh’s death, blaming Israel for its “refusal to release him for treatment”. Gaza’s ruling Hamas said it was following with the “greatest concern” the developments and warned Israel would “regret its continuing crimes,” spokesman Sami Abu Zuhri told AFP. On Tuesday evening, militants in the Gaza Strip fired a rocket into southern Israel, but it fell on open ground and caused no casualties, Rosenfeld said. Early Wednesday the Israeli air force staged three apparent warning strikes in the Gaza Strip, hitting empty fields, Palestinian security sources told AFP. They said the strikes, the first since the end of a deadly eight-day confrontation between Israel and Hamas militants in November, hit in two spots close to Gaza City and one other site further north toward the frontier with Israel. Nobody was injured. Abu Hamdiyeh, a senior Fatah official from the preventative security services, began complaining of throat problems about nine months ago. Two months ago he was diagnosed with cancer of the oesophagus. According to the Prisoners Club, 25 inmates serving time in Israeli jails are currently suffering from cancer. The Palestine Liberation Organisation has warned that more terminally ill prisoners could die, as well some of the hunger strikers. The prisoners’ club said that Samer Issawi, a security prisoner who has intermittently refused food for eight months, was in “a condition very dangerous for his health”.